Today, the High Representative has been invited to the Chamber of Deputies by the President of the Parliamentary Committee monitoring the implementation of the Schengen Agreement, the activities of Europol, the control and supervision of immigration, Hon. 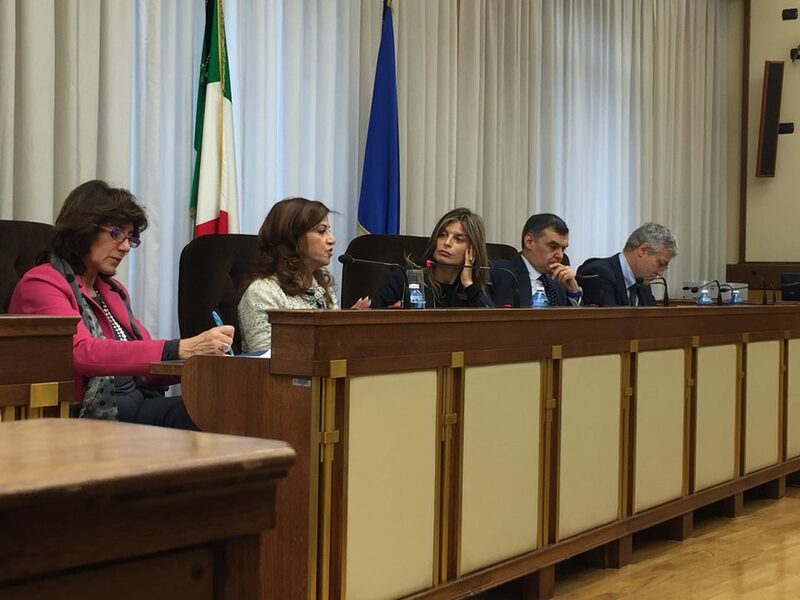 Laura Ravetto, on a proposal by Sen. Riccardo Mazzoni, to hold a hearing on the subject of "Management of migration into the Schengen area", on which the Committee is investigating in order to find effective and shared tools for a better control of external borders and internal boundaries. The Kurdistan region, considered an oasis of peace and stability in the Middle East, has long been suffering from a growing flow of migrants. Since 2003 this small territory has faced before approximately 600,000 internally displaced Iraqis, then the outbreak of the Syrian crisis, finally the brutal invasion of ISIS terrorists. In Kurdistan there are today 1.7 million refugees and internally displaced persons, and these figures reflect unprecedented humanitarian emergency. The KRG inclusive policy free from any discriminatory attitude on the basis of religious, cultural, ethnic or political aspects in hosting refugees and IDPs, the several humanitarian measures taken in support of refugees and IDPs, the sacrifices sustained by Kurdish peshmerga, alone in the struggle against ISIS, are not longer sufficient to cope with this situation. Mrs. Kader, therefore, interested parliamentarians present at the hearing to exert strong political pressure on the Italian government in order to contribute to a greater extent on the military level, while continuing to arm and train the peshmerga forces but also by providing medical facilities to treat them. There is need for increased humanitarian assistance for refugees and displaced persons. Mrs. Kader has invited the Italian institutions to proceed with the recognition of the Kurdish genocide of 1988 and the current one against the Yazidi community and sensitize the international community to adopt a shared strategy of counter-terrorism, under the aegis of United Nations, involving regional organizations, such as NATO and the EU. Mrs. Kader has proposed the formation of a safety belt in order to be protected from attacks of ISIS. At the hearing, the MPs, including the Hon. Giorgio Brandolin, vice president of the Schengen Committee, Hon. Massimo Artini, Vice President of the Defense Commission at the Chamber of Deputies, Sen. Riccardo Mazzoni, Vice President of the Commission on Human Rights to the Senate, Dr. Maria Teresa Calabrò of the Service for International Relations at the Chamber of Deputies, have expressed great interest and solidarity to the cause of the Kurdish people and the need for a united front in the fight against terrorism.